This trek follows the course of the previous trek to Zangla. 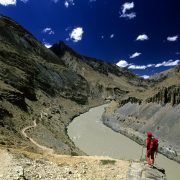 In Zangla it leaves the Zanskar River and starts ascending steeply toward the Charchar La, the first and higher of the two major passes to cross on this trek. 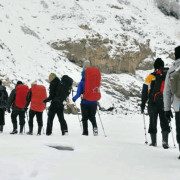 In general all the characteristics of the Chadar trek on ice apply, however, additionally the treks involves possibly strenuous trekking in deep snow once the ice of the river is left behind. The crossing of the passes is only undertaken weather permitted only and when the snow bound passes actually allow for a passage at all and thus conceivably subject to change upon short notice! 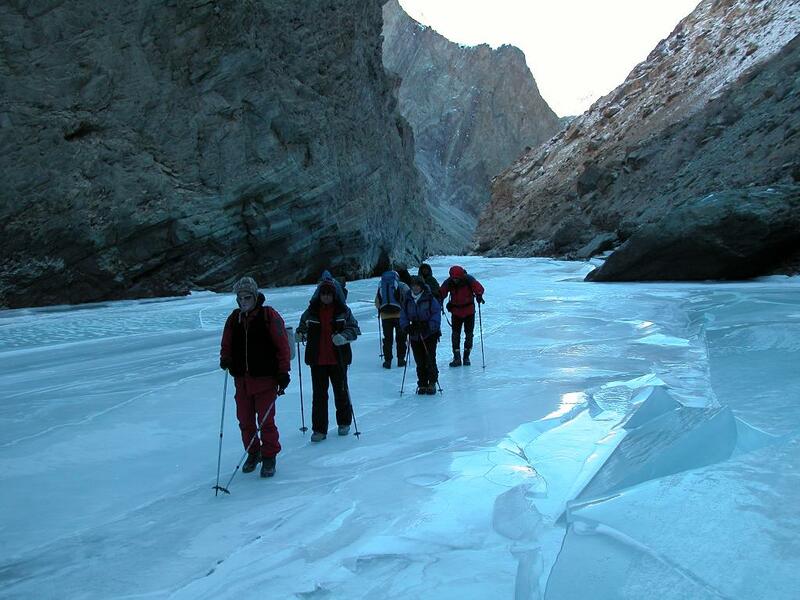 Although this trek on account of sustained trekking for twenty days is one of our most difficult, traversing the winter wonderland of the Zanskar Range promises to be one of the most rewarding, offering the best of Ladakh and Zanskar trekking with visits to some of the region’s most unique monasteries. Day trip to Shey and Thikse monasteries. Rest and visit the famous Karsha Gompa. 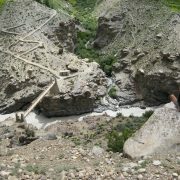 Zangla to Zangla Sumdo; walk in the valley following small stream. Zangla Sumdo to Chupchak, cross the Charchar-La (4950m), 7 hours. Chupchak to Wangchuk Chenmo, 5 hours. Wangchuk Chenmo to Kharnak Sumdo, walk in the valley. 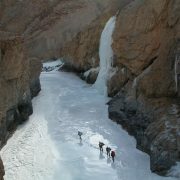 Kharnak Sumdo to Rabrang, walk in the valley. 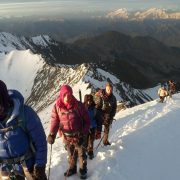 Rabrang to Themkachen, cross the Rabrang-La (4750m). Markha to Skyu, visit Markha Gompa in the morning. Skyu to Chiling, return to Leh. Full day rest in Leh. Return flight Leh – Delhi; depart India.